TastyPlacement offers enterprise web development for large-scale eCommerce and enterprise websites. 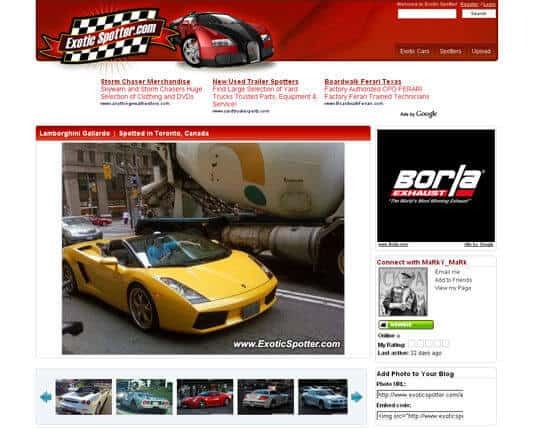 When ExoticSpotter.com, a leading exotic car fan site and community, sought to re-launch their site with increased performance, world-class design, and integrated Social Media features, they turned to TastyPlacement. We faced several challenges. First, we faced the challenge of server load: ExoticSpotter receives nearly 2 million page views a month. Furthermore, as an image based site, the server load is even more challenging. We created a full-featured, robust platform for the community with a wide range of Web 2.0 and social media integration. A1 PartSmart had a complex problem. They needed to integrate their web presence with their eBay Prostore account. They had content on different servers as well as a dynamic collection of eBay merchandise. These disparate elements needed to interact functionally as well as aesthetically to provide the greatest customer confidence. The finished product put live chat support, the eBay Prostore, and a blog, at the fingertips of prospective customers, all surrounded by a professional and attractive template design.